I’m Getting Married! When Should I Start Getting Into Shape? The moment you’d been waiting for finally happened! You’re engaged! While so many things are flooding through your head about what to do to get ready for the big day, one of them should be looking and feeling your best. Getting in shape for your wedding day takes time. So, don’t wait long after the ring is on the finger to get your gym shoes on. Depending on your goals, it can take anywhere from three to eight months. 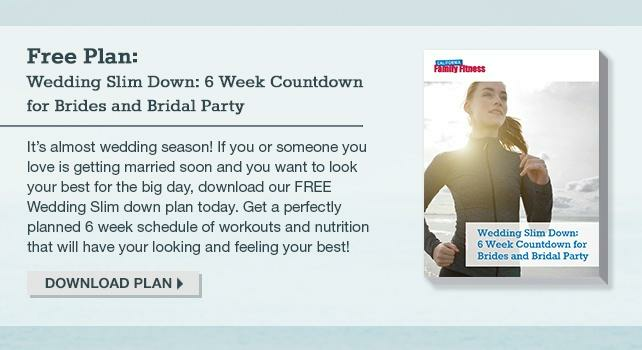 Many people use the coming wedding date as a deadline to overhaul their entire diet and exercise plan in order to look better than they ever have before. However dramatic your weight loss or strength gains wish list is, here’s a general game plan to get you walking down the aisle in style. Guys and gals, if you are looking to lose weight, focus first on losing the weight before you put money down on a gown or tux. However, you also can’t wait too long to purchase them, especially for the gown with the expected multiple alterations. Needless to say, it’s important to get going right out of the gate! It’s easy to think that one year is a long time to make your deadline. Unfortunately, it really isn’t. Once you’ve made the commitment to get into shape, don’t lose the momentum. 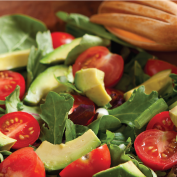 Start by swapping out the food in your kitchen with smarter, healthier choices. Look at local gym options and start scheduling 3-5 workouts a week. At this moment, the idea is just to dip your feet in the healthy pool and tread water. At this point, you’ve created patterns and routines that are hopefully being reflected in the mirror. But now that you’re halfway, it’s time to get more specific in your training and start upping the intensity. Ladies, since your dress will likely highlight your waistline and upper body, start incorporating two upper back and shoulder workouts in a week, plus lots of core! Gentlemen, you are not too different. Nothing says handsome like a guy with nice shoulders in a tux. Congrats on all your hard work up to this point! The three months before a wedding are the most important. While you’ve already made significant changes, now is the time to clean up your diet even further and amp up the cardiovascular training. Start limiting all processed foods, sugar, caffeine, and alcohol. Add in 1-2 more vigorous cardio sessions in each week, like HIIT, spin class, or running intervals. Hopefully you’ve stuck to the modified diet and cardio increase. If not, now’s the time! When you’re working out consistently, you should see something change in your body every 4-6 weeks. So, you still have time to clean up your plate and focus on where you’re at with your workouts. Need some more help staying accountable? Try doing this 6-week slim down guide. Nerves are probably setting in as everything from your seating chart to your last dress fitting gets done. Because of this, it’s important to exercise to help with stress relief, as well as putting the finishing touches on your wedding day body. Add in extra daily abdominal exercises and 1-4 yoga classes in these last couple weeks to help you unwind and stay centered. Today will be a flutter of emotions and a schedule stacked tighter than a bouquet of flowers. However, if at all possible, schedule an early morning run or yoga session. A wedding day workout is for clarity, reflection, and gratitude for all your hard work! It also sets the tone for your new life ahead! Congratulate yourself for not only accomplishing your goals, but for changing your life to become healthier. It’s less about vanity, and more about the commitment to the life you and your partner are going to have together.